What is been understood finally is that trauma of any form generates damage to the brain itself that is real and must be healed properly. In fact it is the major health syndrome out there that affects a large part of out population. Fortunately most are able to self heal in some way or the other. I have observed however, that this healing is generally unguided and is a direct cause of additional trouble and general grief. 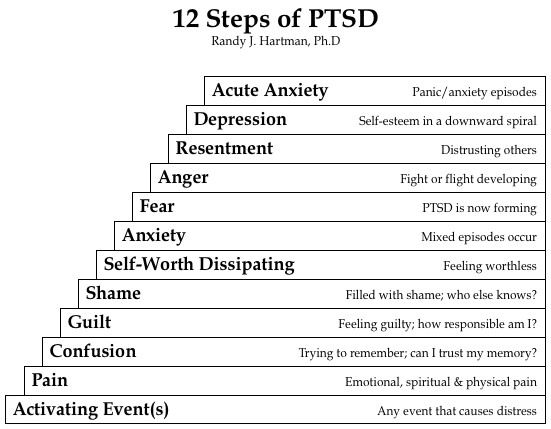 We have learned recently that simply remembering trauma can be guided to weaken the actual effect. This leads me to the suggestion that nurses in particular need to be trained in the necessary methods of trauma amelioration and even initial diagnosis. It is still a learning curve for all, but I think that the process is well begun and applying it throughout the health system is part of that maturation. ScienceDaily (Aug. 8, 2012) — Post-Traumatic Stress Disorder (PTSD) develops in individuals who experience highly traumatizing situations such as terrorist attacks and car accidents, but symptoms can also come about after normal life events -- including childbirth. A Tel Aviv University researcher has found that approximately one third of all post-partum women exhibit some symptoms of PTSD, and a smaller percentage develop full-blown PTSD following the ordeal of labor. This surprising finding indicates a relatively high prevalence of the disorder, says Prof. Rael Strous of TAU's Sackler Faculty of Medicine, who completed the study along with Dr. Inbal Shlomi Polachek of the Beer Yaakov Mental Health Center and Liat Harari and Micha Baum of the Sheba Medical Center. Of those women who developed post-traumatic symptoms, 80 percent opted for natural childbirth without pain relief. Other significant factors identified include the woman's body image (including discomfort with being in an undressed state for the relatively prolonged period of labor and undergoing elective Caesarean sections), fear during labor, and complications in the present and earlier pregnancies and labors. The study was published in IMAJ, the Israel Medical Association Journal. The debate over whether or not childbirth qualifies as a "traumatic event" is still controversial. Although childbirth is not a sudden and unexpected event like an accident, childbirth is accompanied by a very real and justified fear of danger, as expectant mothers worry for not just their own safety but also for the health and well-being of their babies, says Prof. Strous. Researchers interviewed 89 post-partum women between the ages of 20 and 40, first within 2 to 5 days after delivery and then again one month after delivery. 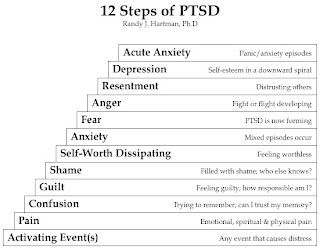 They discovered that of these participants, 25.9 percent displayed symptoms of post-trauma, 7.8 percent suffered from partial post-trauma, and 3.4 percent exhibited symptoms of full-blown PTSD. Symptoms included flashbacks of the labor, the avoidance of discussion of the event, physical reactions such as heart palpitations during such discussions, and a reluctance to consider having another child. According to Prof. Strous, one of the most influential factors was pain management during delivery. Of the women who experienced partial or full post-trauma symptoms, 80 percent had gone through a natural childbirth, without any form of pain relief. "The less pain relief there was, the higher the woman's chances of developing post-partum PTSD," he said. Of the women who did not develop any PTSD symptoms, only 48 percent experienced a natural childbirth. A full 80 percent of the PTSD group reported feeling discomfort with being unclothed, and 67 percent had previous pregnancies which they described as traumatic. Fear of the labor itself, both in terms of expected pain levels and danger to themselves and their children, was also influential. The researchers discovered to their surprise that support during labor, in the form of a midwife or doula, had no impact when it came to avoiding post-traumatic symptoms. Factors such as socioeconomic and marital status, level of education, and religion also had no effect. Beyond gathering information about prevalence, Prof. Strous and his fellow researchers wanted to gain insight into possible risk factors for developing post-traumatic symptoms and ascertain methods for minimizing its impact. He suggests that doctors become familiar with the profile of women who are more disposed to suffer from post-traumatic symptoms, and be on the look-out for warning signs after labor. He also advocates additional research into the phenomenon to develop better treatment plans and making more resources available for affected women. There are some immediate steps medical professionals can take, Prof. Strous says, including better counselling about pain relief and making sure that patients' bodies are properly covered during delivery. "Dignity is a factor that should be taken into account. It's an issue of ethics and professionalism, and now we can see that it does have physical and psychological ramifications," he says.